2. Pantheon’s science writers have been, of late, the bane of my existence. Reject after reject. Here we see the fruits of my recent labors. A stack of finals, and some comps. 3. The photographer Jason Fulford and the illustrator Tamara Shopsin are geniuses, and free spirits who tend to turn up on any given day in Seoul, Delphi, or various places I’ve never even heard of. I will occasionally receive these hand-doctored postcards from them, and they always make me smile (in jealousy, mostly). 4. I used to art direct an independent French record label. As a result, I have several crazy abstract vinyl albums sleeves strewn about to remind me that I used to have a turntable. 5. Norman Foster’s Hearst building. I saw it grow from a foundation. It’s a beauty I never tire of looking at. 1. My phone and my telegraph key. If I owe you a phone call, and it hasn’t been forthcoming have you checked your local telegraph station? There may be something there for you. My “C” words: everyone who looks at this thinks the same thing, namely, “crap” which is not one of the words listed. I find this indicative of something profound. 2. My monitor. The background color changes every 15 seconds. This drives my visitors insane. I myself have grown used to it. 3. My Knopf pad. I spend as much time here as I spend on the machine next to it. Sketching ideas, jotting down notions, and reminding myself of where I’m supposed to be and who I’m supposed to call. Behind this we see my personal bible “Designing a Book Jacket” by Peter Curl. Actually I’ve never read a word of it. 1. The Stieg Larsson Box- coming to your local retailer this Thanksgiving. Behind this are various comps for stuff including the book “Smell Man” which was meant to be scratch-and-sniff but which remains tragically unmade…and the Gallimard edition of André Gide’s theatrical works. In a perfect world, all books would look like Gallimard editions, and I would be out of a job. 2. A bunch of books from Vertical Press, the independent Japanese publisher who I art direct for on the side. 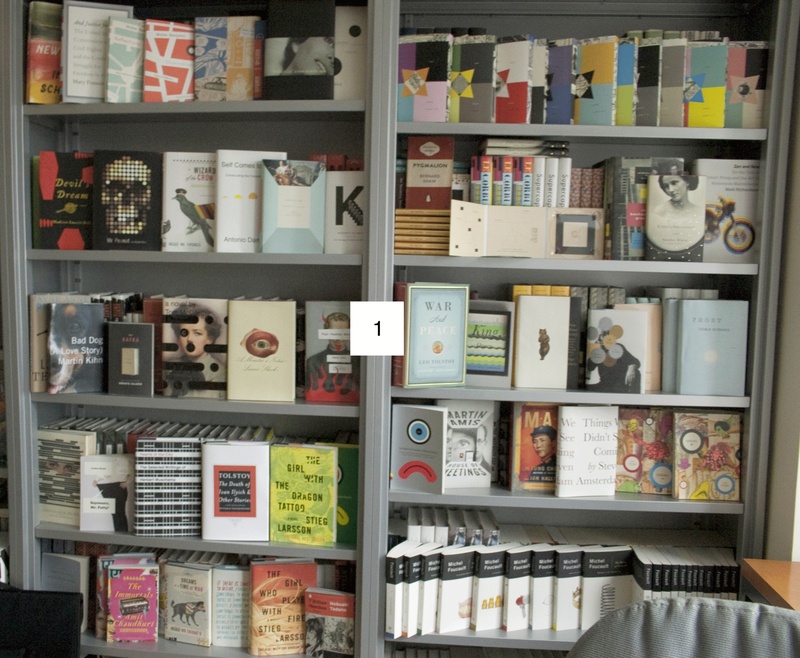 Yes, those are Sudoku books that I designed, and, frankly, I’m very proud of how they turned out. 3. More albums, and, a very dangerous book that I had stuffed and mounted under glass by the crack team of taxidermists at Deyrolles in Paris. This book can’t hurt anyone now. 4. The original sketch for the paperback reissue of the Walter Benjamin books tacked to the wall. I find that actually sketching the cover first greatly helps in clarifying the design. As you can see, many of these shelves are now two deep with books. There is no rhyme or reason to what is face out up there, just whatever happened to please my whim at the time. Actually, eight years into my job at Knopf, I realize that some of these have been up for years-and now that I look at this jpg, the bookshelf is due a refresh. 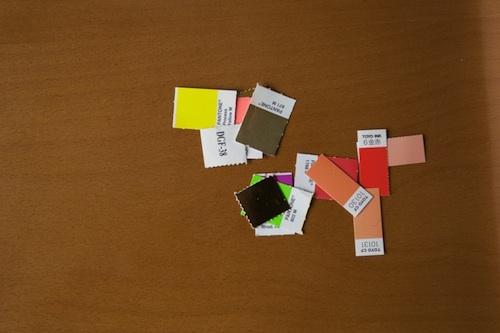 My constant companions and best-est buddies: PANTONE, DGF FOIL, TOYO. FROM YOUR DESKS: Wow, great view outside your window. 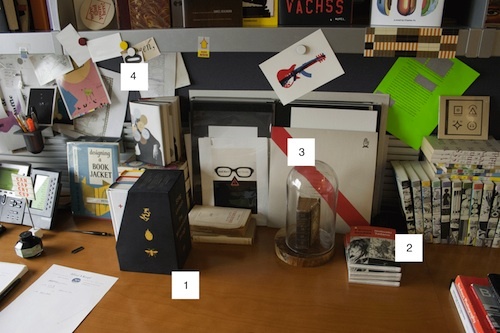 It’s safe to say you (and your desk) are quite organized. True? 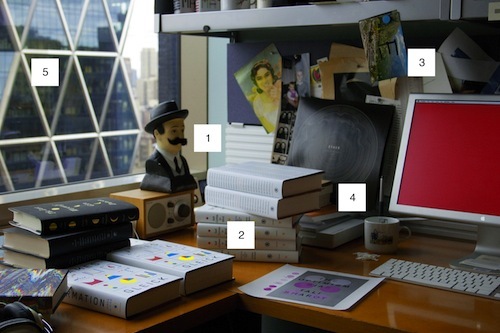 PETER MENDELSUND: I love my view- though I have to be reminded periodically to look at it. I am occasionally organized. At the end of a long list, when the mess in my office becomes untenable, I’ll make a big push to clean things up. In these pictures you are seeing the fruits of those recent labors. FYD: If you penned a book, who would you want to design your cover? PM: Jonathan Gray or Leanne Shapton. Or John Gall. Or Rodrigo Corral. FYD: Any authors in the “classics” section you would love to redesign? I’m a book cover snob. For instance the Italo Calvino covers have always bummed me out a bit. PM: YES! Italo Calvino. One of my all time favorite authors. Desperately needs an update. Of course, the other author who comes immediately to mind is Kafka, but, as it turns out, I’m working on him now! 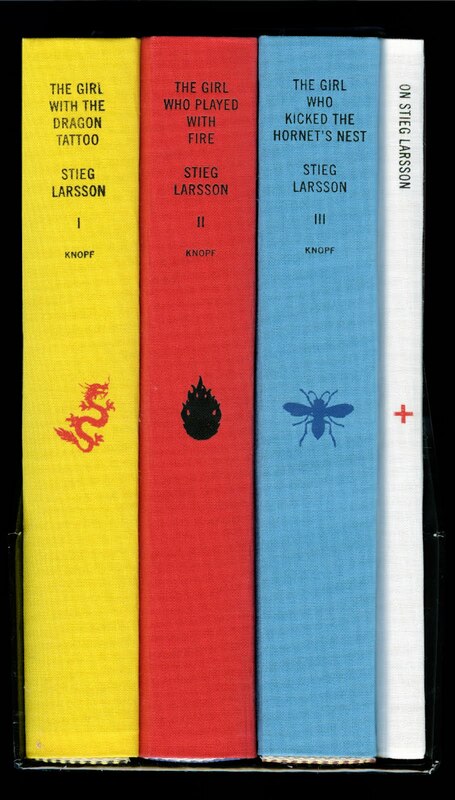 FYD: Christmas trees are going to be stacked with the Stieg Larsson trilogy boxset! Was it tough to re-concept the look; or was less is more? PM: I always wanted a simpler look for the series. At one point it occurred to me that there were a gazillion people reading these things, and, why couldn’t we do a nice bespoke edition? I’ve been advocating for stamped cloth jacketless editions of Knopf titles for years- here was a good opportunity. 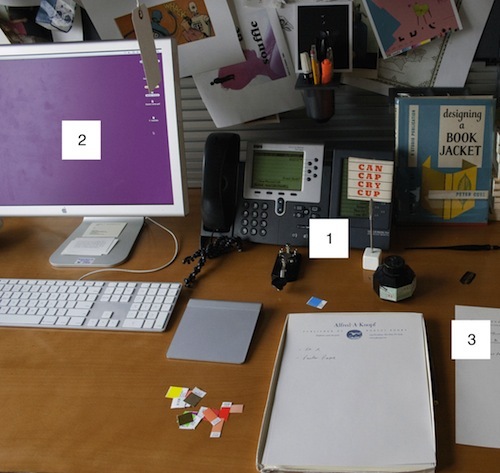 FYD: Should there be a fourth of “fifth” manuscript in circulation (as suggested on CBS Sunday Morning via Stieg’s brother and father) have you envisioned those cover(s)? PM: I know roughly what the type treatment will look like (as all the Larssons are roughly the same) but I won’t know what the jacket will consist of until I get to read the manuscript(s) and we’ve given it/them a title/titles. In any case it is very exciting. FYD: Much like the media blitz surrounding Stieg’s death, do you feel you’re telling the same story ad nauseam about your Dragon covers? PM: I never mind talking about it. It’s fun that these books have been so successful. It makes me happy for Knopf, and the industry in general. 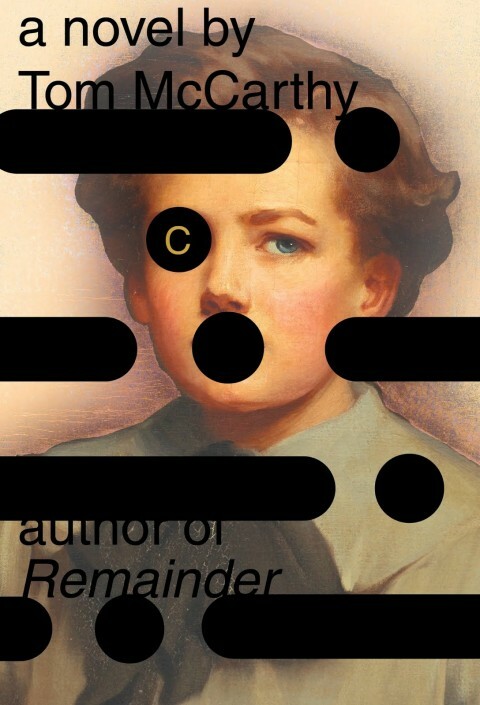 FYD: I’m a big Tom McCarthy fan, especially his novel, Remainder. How involved was he in the design process for C? PM: Tom was involved to the extent that we spoke about the book, and the jacket before I started, and he was shown, and had approved, the jacket when it was done. Truth is- I’ve spent much more time speaking with him about the jacket since the book came out. FYD: Any favorite LPs or book covers growing up? Did you hit the museums, enjoy motion and chaos? Were you a pop cultural guy or more avant garde? 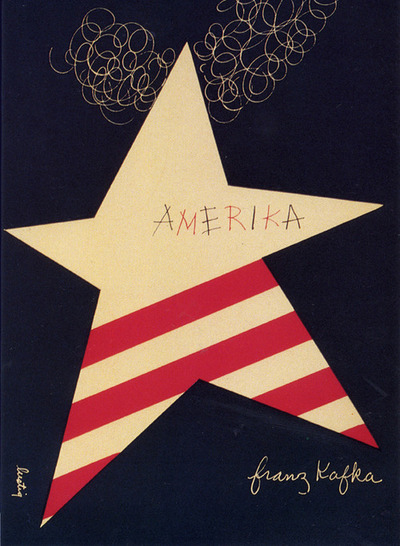 PM: My parents had a copy of Alvin Lustig’s New Directions “Amerika” jacket on their shelves when I was a kid, and I was ineluctably drawn towards it. It only took me thirty-five more years to discover why. I was dragged to museums as a kid, but never particularly enjoyed it. I was the musical one in the family, all the others- my dad, mom, sister- were more visually inclined. FYD: You’ve had a blessed career path. I still believe landing your feet on the ground in New York involves, of course TALENT, coupled with a bit of luck, fate and good timing. Any thoughts relative to your own path? PM: I am the luckiest man alive. When I left Classical Music eight years ago, there was every chance that I would have ended up in a dead-end, hateful job. 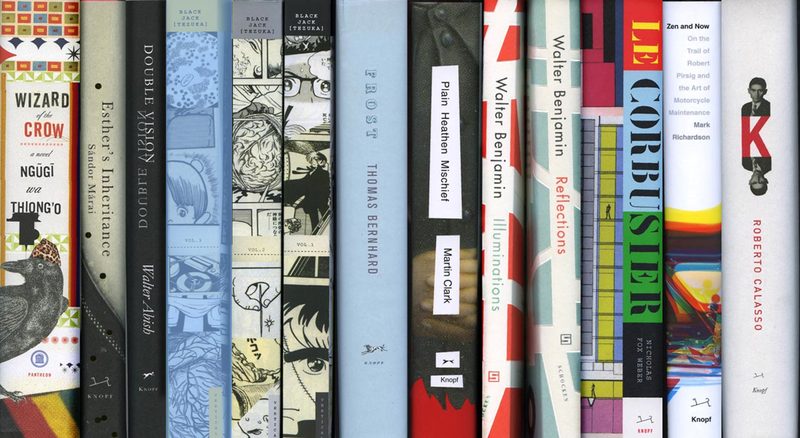 The fact there was a profession (book design) at the confluence of Books, and Art, saved my bacon. And the fact that John Gall, Carol Carson, and Chip Kidd saw something in me, despite my woeful lack of experience, was something I will be forever grateful for. i work for cambridge university press in india and was evaluating and comparing the book jackets of various publishers of school book series and since i happen to have the realisation that i know less than nothing about the world of book design decided look up something on the topic and bang! here i am! i am certainly going to get a copy of Peter Curl’s book and hope to god i will get around to reading it!